When riding your e-scooter, you may want to have that riding comfort experience with the use of some electric scooter accessories. The useful addition to your ride will refer mostly to the safety of your transport as well as the advantages that go with it. Thousands of accessories are available for your every need. However, choosing the practical add-ons to your ride will save you money by purchasing only the things that you need most. The scooter helmet is one of the most important accessories you will ever need. The accessory is a safety equipment that can save your life and is a requirement by the Land Transportation Authorities when the motor of you are driving is above 250W. The protective helmet is as important as it should even for riders of e-scooters with engines ranging below 250W. The safety headgears will protect your head if you accidentally fall from your scooter. It is a safety necessity for all riders to wear one. Riders who often use their e-scooters to go to work or run errands in urban communities should opt for the full-face headgear. This type of safety helmet will provide protection of your head. A snug-fit protective helmet is also available in the market. Just fasten the chin guard securely for your safety. The head protection gears are a bit expensive but it will be worth every penny when your safety is at risk. A pair of electric scooter gloves is a safety requirement that will protect your hands when you are riding your e-vehicle. Your hands will be the first responder to protect you when an accident occurs. It is important to have this pair of protection while traversing the road. The need to use a pair of driving gloves is what e-scooter riders need at any season of the year. Leather gloves are practical in warmer climates while warm insulated gloves are preferable while riding the electric scooter in cold weather. One of the electric scooter accessories that you must have are the scooter driving glasses. The protective eyeglasses will shield your eyes from the wind, sun, and rain when while you are on your two-wheel ride. Some safety eyeglasses have special protective layers that limit glaring headlights blinding your vision that may cause road mishaps. Scooter driving glasses have also protective paddings that avoid sweat from getting into your eyes. Polarized or non-polarized type of driving glasses is an option to whatever is convenient for the rider. Jackets is an electric scooter accessory that you must have. 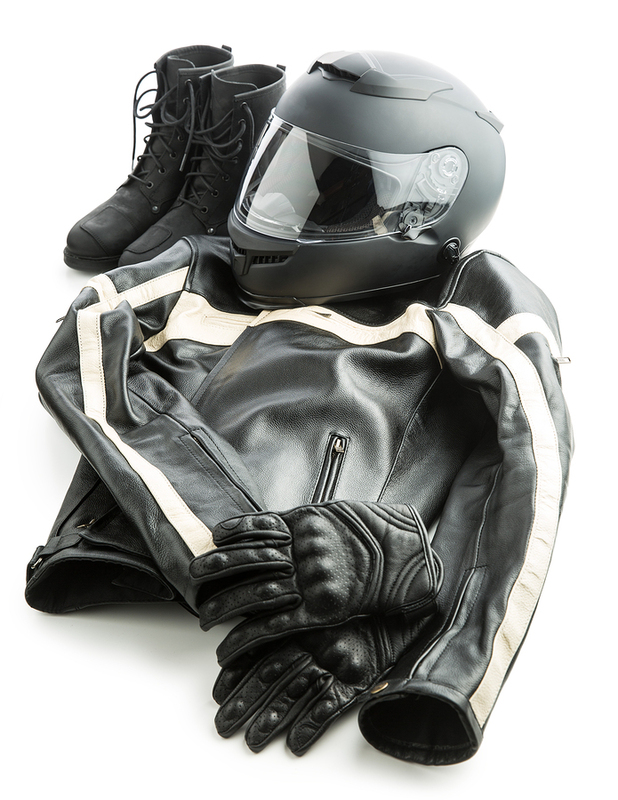 A leather jacket can help protect your body from bruises and cuts when you fall off your e-scooter. The safety protective gear can protect you from a downpour or the harmful heat of the sun. Use padded jackets when driving in winter to keep your body warm and from the cold winds when you drive. Knee and Elbow protective gear are electric scooter accessories that you will need when riding on your electric scooter. Accidents happen when you least expect them; so be on the alert by having these knee and elbow protection accessories. Your knees and elbows are prone to injuries when you are riding the electric scooter. Without these protective pads to cover knees and elbows, falls could result in serious injuries. Scooter Lights are also significant electric scooter accessories. These add-ons installed properly will help riders traverse safely through the night. Lights on the front and back of your e-scooter will allow you to see on dark roadways and will also let other drivers or pedestrians notice you as you drive by on it. A wide variety of lights are available in the market for you to choose from and you may opt the attachments on the handles or seat. An electric scooter accessory that is important to the rider is the cell phone mount attached to the e-vehicle. E-scooter riders stop on a safe side of the road to pick up a call but some prefer to pick up calls on the go. It will be convenient for the rider to have a cell phone holder mounted on an e-scooter. The rider will have a place to park their smartphones and have immediate access to it when there are calls while on the drive. The cover is one of the electric scooter accessories that riders need for their e-rides. Your two-wheeled vehicles run on electricity and it’s only apt to cover them up during bad weather conditions. This supplementary accessory extends the life of the electric scooter and protects it from water, sun, snow, dust and other harmful elements. Choose a covering material that is water resistant and could last for many years. One way of securing your two-wheel rides is to purchase a lock set as an electric scooter accessory. Chain or cable locks allow you to fasten your e-scooter to posts if authorities do not allow you to bring them inside buildings. Cable locks are lighter to carry around but can easily be cut while chain locks are sturdier than the cable types. But if the cable locks are convenient for you, use it on locations where you can easily spot your electric scooter. An electric scooter accessory that can make your ride easier is the e-scooter carrier bag. The accessory eliminates the burden of pushing the two-wheeler ride when not in use. You can fold up your electric transport and place them inside the carrier so you can carry it around. The e-scooter carrier has a sling where you can put it over your shoulder and could be a medium to clip your helmets and other gadgets to it. Some electric scooter accessory suppliers have carriers designed like trolley bags. Just place your e scooter in the carrier and tow it along like a baggage trolley. A driving scooter mirror added to your scooter is an electric scooter accessory that can assist you when in traffic. You can see the presence of vehicles by looking at your side mirror mounted on the e-scooter handles. You won’t need to turn your head to look back. Looking back could lose your focus on your front drive vision which can lead to accidents. Just a side glance from your mirror will let you know the flow of traffic behind you. A pair of side mirrors on the e-vehicle handles can be nice to look at enhancing the image of your electric scooter. The handlebar extensions are one of the electric motor accessories that extend the length of the control bars. There are instances that you need to extend your handlebars due to mounts that need more space to accommodate it. Mounting the handlebar extensions will allow you to attach other accessories when mounted on different positions. The ringer is an essential electric scooter accessory that will aid your ride. You need the ringer to let pedestrians know that you are passing by. The ringer chime will alert the walking traffic that you are about their space and for them to give way. The ringer can also be an instrument to signal minor traffic. Spare tires are important add-ons for your electric scooter accessories. It will come in handy when you experience a flat tire while riding to your destinations. You can mount the spare tires and can still use your e-scooter while the defective ones are in the repair shop. A basket mounted on the front end of your electric scooter will provide more space to carry for the rider. The basket is space saving and is quite practical to have as one of the electric scooter accessories. For example, if you have some grocery items you have to bring home from the store or a place where you can put your locks or e-scooter cover, the basket will come in handy. There are more electric scooter accessories in the market. You can also order them through online stores. Visit our website at https://www.electricscooters.com and learn more about electric scooter.